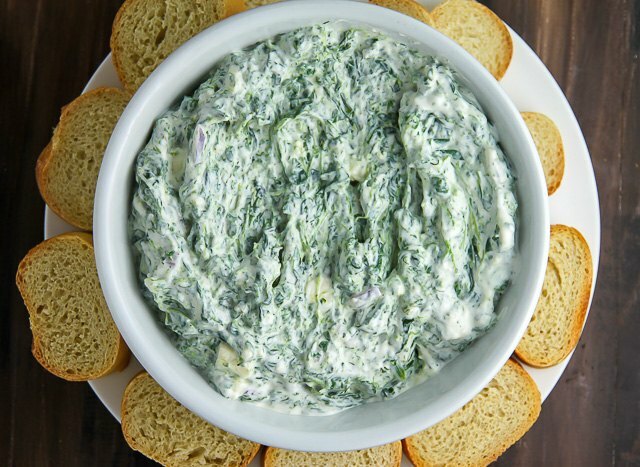 Spinach dip is my go-to recipe for entertaining because it's rich, creamy, and infused with Greek flavors. 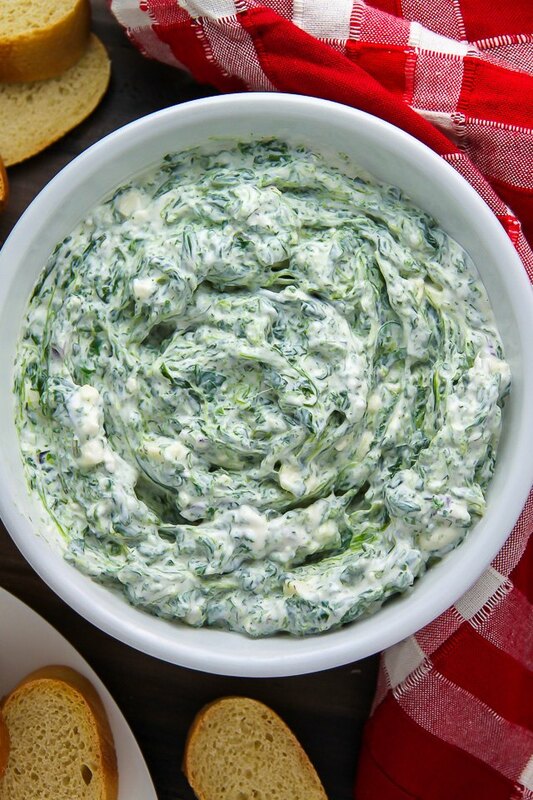 I put a healthy twist on traditional spinach dip by making mine with Greek yogurt, a touch of lemon juice, fresh herbs, and feta cheese. The result? 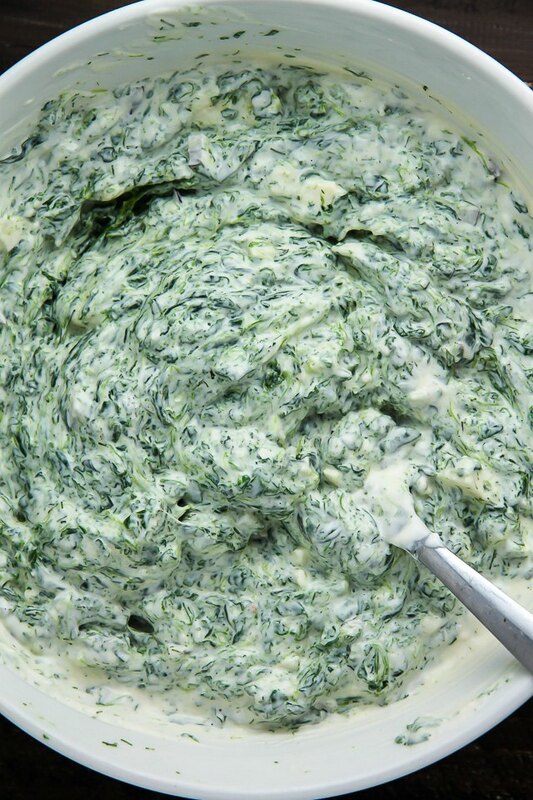 A unique dip sure to keep you—and your guests—coming back for more. 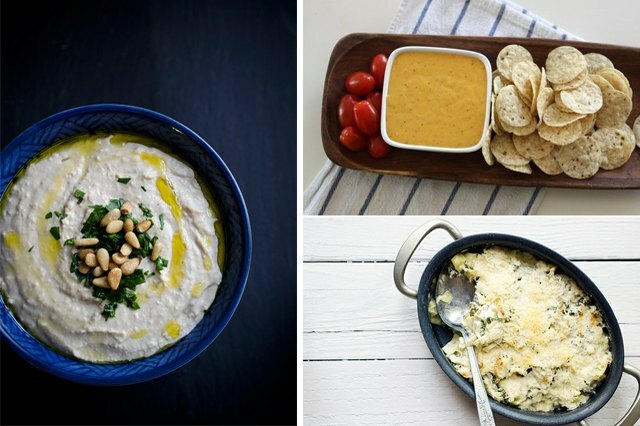 Scroll down for more delicious and easy-to-make dip recipes. 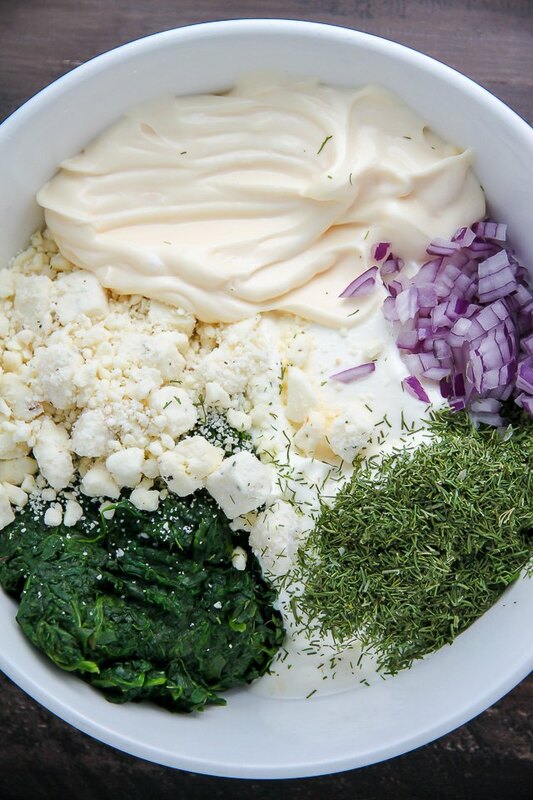 In a large bowl combine the spinach, Greek yogurt, mayonnaise, feta cheese, chopped onion, parsley, dill, and lemon juice. Whisk well to combine. Cover and refrigerate for at least one hour. 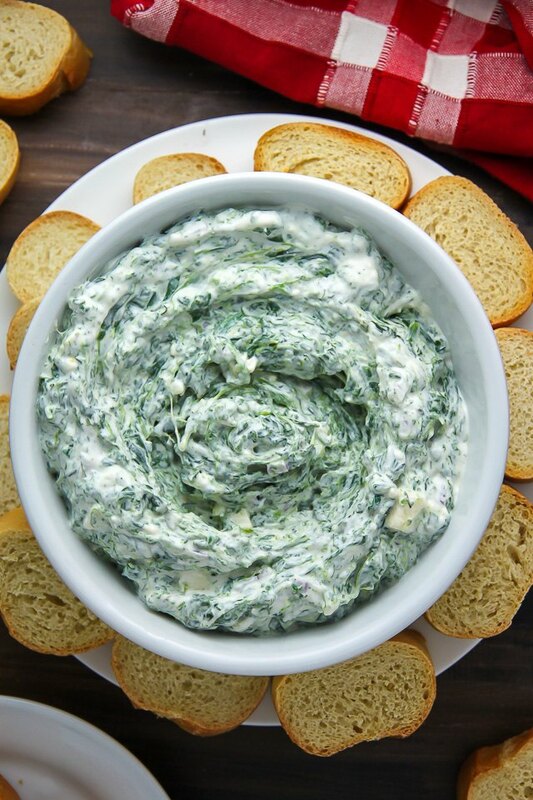 Serve spinach dip with pita, chips, pretzels, or toasted baguette. My friends are always begging me for this recipe, so be prepared to share your secret!